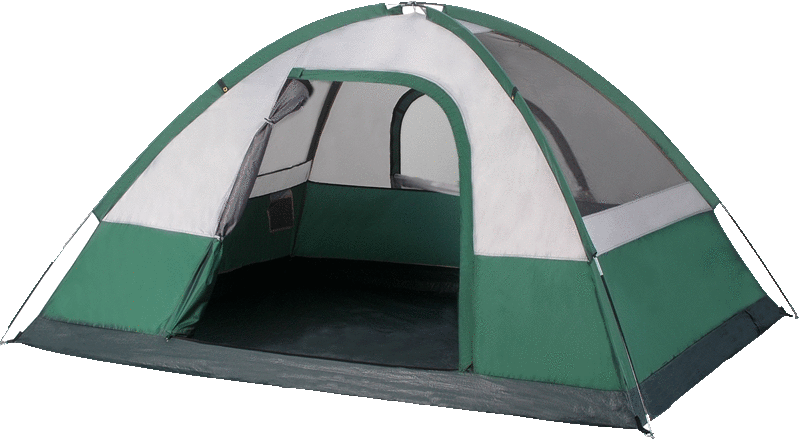 This summer my wife Cindy and I decided to take a cruise to Alaska and then rent a car in Anchorage and see some of the area. We had a great cruise up, saw the interesting ports and sights around the areas of Ketchikan, Juneau and Skagway. We also cruised through Glacier Bay and College Fjord areas. While in Alaska we decided to try our luck at fishing. The hardest part was deciding if we should fish for salmon or halibut. After some thought and discussion we choose a halibut trip out of Seward. The day before, we left Fairbanks and drove ten hours down to Seward arriving late that night. The next morning we walked over to the dock and located our charter boat. We met the captain and first mate along with three other people we would be fishing with that day. Turns out one was retired C.I.A., which made for interesting conversation on the 1½ hour trip to our fishing spot. Upon arriving at one of the spots the captain felt had promise, we started fishing. Halibut are bottom feeders and we were fishing on a shelf about 300 feet down. For bait we were using herring and pieces of cod. Not long after we started I had a bite. I brought up a halibut that was approximately 50 pounds. It's like reeling in a chunk of concrete. As you are reeling them in, they decide they are going back to the bottom, and they do, because the drag is set light enough so they don't break your line. Then you start all over again. After finally getting the fish on board, I felt exhausted but exhilarated. Soon after I had landed my fish, Cindy had one on. Cindy landed a nice 75 pound halibut. I caught another smaller halibut and the other people we were fishing with caught several smaller halibut also. 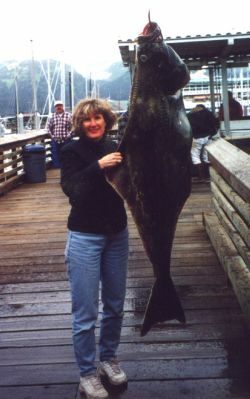 But at the end of the day Cindy hooked a 120 pound halibut! She had quite a work out with that fish! 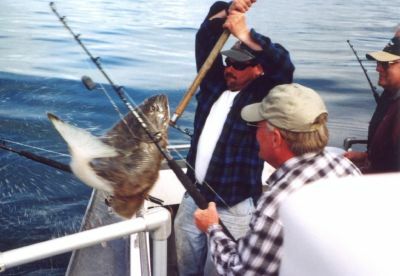 The captain usually shoots halibut when they are over 100 pounds. He does this because they are very difficult to get into the boat and when they are alive they can cause injury once on the deck. Our captain doesn't like to shoot them anymore unless he has to. Last year he was in the process of shooting a large halibut with a .22 derringer and the fish jerked at the instant he pulled the trigger. He shot a nice hole through his hand and almost lost a finger. He now prefers to use a baseball bat. The hard part of the trip was bringing 100 pounds of fish fillets back on the plane with us. We had to be very creative in our packing, due to excess baggage, but we managed to accomplish the task. All in all the seas were calm, the fishing was great and the company was interesting. The reward was a freezer full of halibut and a very memorable trip.